Yesterday the Kea Conservation Trust launched a kite to help raise awareness about Kea, an endangered parrot in New Zealand. The handmade kite set comes with an image of a Kea for kids to colour in with felt tip pens. Build and go fly. The kite designed by Rainbow Flight, Nelson, is designed to capture the attention of kids and get them thinking about this endangered species and the importance of wildlife conservation in a fun and meaningful way. So can a kite save a species? So far feedback has shown that the kites provide a bridge to connect kids to kea, they take pride in their kites, learning the kea's plumage to colour in the kites. It gets them playing outside providing a constructive activity which hopefully will spark an interest in the natural world. 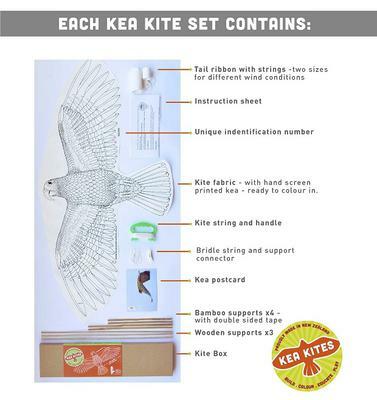 In the first 24 hours of launching our crowd sourcing campaign for Kea Kites we raised over a US$1000. As a result of this and the feedback we have had to date we believe the kites could play a significant role in helping to protect the Kea. We have produced 200 first edition Kea Kites for this campaign - each comes with its own unique identification number. Thanks for your interest! Please share the campaign and let’s see if a kite can save a species! 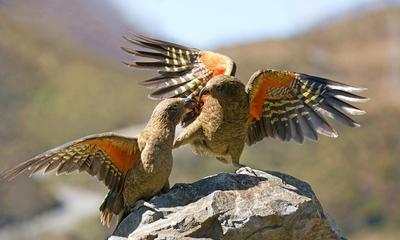 Comments for Kea Kites - Can a kite help to save an endangered species? I there. 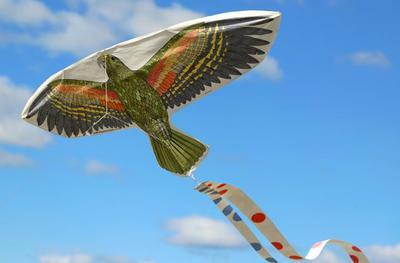 I messaged a week or so ago wondering if you still have kea kites available. My class bird is the kea and I thought it would be quite cool to hang from the ceiling in our class. How much are they? Cheers, Tina.